Heated Leather Seats, Alloy Wheels, Turbo, Back-Up Camera, Power Liftgate, 4x4. SEL trim. FUEL EFFICIENT 28 MPG Hwy/22 MPG City! Warranty 5 yrs/60k Miles - Drivetrain Warranty; READ MORE!KEY FEATURES INCLUDELeather Seats, Power Liftgate, Heated Driver Seat, Back-Up Camera, Turbocharged Rear Spoiler, MP3 Player, 4x4, Aluminum Wheels, Remote Trunk Release.EXPERTS ARE SAYINGGreat Gas Mileage: 28 MPG Hwy.BUY FROM AN AWARD WINNING DEALERBaxter Ford West Dodge, a full-service Ford dealership in Omaha, is your source for new Ford cars, trucks, vans and SUVs both online and in our showroom. We also sell used vehicles and certified pre-owned Fords. At our 18505 California Street (185th & Dodge) location, we also provide parts and auto repair service. We're part of Baxter Auto, the largest dealer group in Nebraska.Fuel economy calculations based on original manufacturer data for trim engine configuration. Please confirm the accuracy of the included equipment by calling us prior to purchase. Heated Leather Seats, Alloy Wheels, Turbo Charged, 4x4, Back-Up Camera, Power Liftgate. SEL trim. EPA 28 MPG Hwy/22 MPG City! Warranty 5 yrs/60k Miles - Drivetrain Warranty; AND MORE!KEY FEATURES INCLUDELeather Seats, Power Liftgate, Heated Driver Seat, Back-Up Camera, Turbocharged Rear Spoiler, MP3 Player, 4x4, Aluminum Wheels, Remote Trunk Release.EXPERTS ARE SAYINGGreat Gas Mileage: 28 MPG Hwy.WHY BUY FROM USBaxter Ford West Dodge, a full-service Ford dealership in Omaha, is your source for new Ford cars, trucks, vans and SUVs both online and in our showroom. We also sell used vehicles and certified pre-owned Fords. At our 18505 California Street (185th & Dodge) location, we also provide parts and auto repair service. We're part of Baxter Auto, the largest dealer group in Nebraska.Fuel economy calculations based on original manufacturer data for trim engine configuration. Please confirm the accuracy of the included equipment by calling us prior to purchase. Heated Leather Seats, Aluminum Wheels, Turbo Charged Engine, 4x4, Back-Up Camera, Power Liftgate. SEL trim. FUEL EFFICIENT 28 MPG Hwy/22 MPG City! Warranty 5 yrs/60k Miles - Drivetrain Warranty; CLICK NOW!KEY FEATURES INCLUDELeather Seats, Power Liftgate, Heated Driver Seat, Back-Up Camera, Turbocharged Rear Spoiler, MP3 Player, 4x4, Aluminum Wheels, Remote Trunk Release.EXPERTS CONCLUDEGreat Gas Mileage: 28 MPG Hwy.WHY BUY FROM USBaxter Ford West Dodge, a full-service Ford dealership in Omaha, is your source for new Ford cars, trucks, vans and SUVs both online and in our showroom. We also sell used vehicles and certified pre-owned Fords. At our 18505 California Street (185th & Dodge) location, we also provide parts and auto repair service. We're part of Baxter Auto, the largest dealer group in Nebraska.Fuel economy calculations based on original manufacturer data for trim engine configuration. Please confirm the accuracy of the included equipment by calling us prior to purchase. Heated Leather Seats, Turbo Charged Engine, Aluminum Wheels, Back-Up Camera, Power Liftgate, 4x4. SEL trim. FUEL EFFICIENT 28 MPG Hwy/22 MPG City! Warranty 5 yrs/60k Miles - Drivetrain Warranty; CLICK NOW!KEY FEATURES INCLUDELeather Seats, Power Liftgate, Heated Driver Seat, Back-Up Camera, Turbocharged. Rear Spoiler, MP3 Player, 4x4, Aluminum Wheels, Remote Trunk Release.EXPERTS ARE SAYINGGreat Gas Mileage: 28 MPG Hwy.VISIT US TODAYBaxter Ford West Dodge, a full-service Ford dealership in Omaha, is your source for new Ford cars, trucks, vans and SUVs both online and in our showroom. We also sell used vehicles and certified pre-owned Fords. At our 18505 California Street (185th & Dodge) location, we also provide parts and auto repair service. We're part of Baxter Auto, the largest dealer group in Nebraska.Fuel economy calculations based on original manufacturer data for trim engine configuration. Please confirm the accuracy of the included equipment by calling us prior to purchase. Sunroof, Heated Seats, Onboard Communications System, Alloy Wheels, 4x4, Back-Up Camera, iPod/MP3 Input, Satellite Radio. SE trim. FUEL EFFICIENT 29 MPG Hwy/23 MPG City! Warranty 5 yrs/60k Miles - Drivetrain Warranty; AND MORE!KEY FEATURES INCLUDEHeated Driver Seat, Back-Up Camera, Satellite Radio, iPod/MP3 Input, Onboard Communications System Rear Spoiler, MP3 Player, Sunroof, 4x4, Aluminum Wheels.EXPERTS REPORTGreat Gas Mileage: 29 MPG Hwy.OUR OFFERINGSBaxter Ford West Dodge, a full-service Ford dealership in Omaha, is your source for new Ford cars, trucks, vans and SUVs both online and in our showroom. We also sell used vehicles and certified pre-owned Fords. At our 18505 California Street (185th & Dodge) location, we also provide parts and auto repair service. We're part of Baxter Auto, the largest dealer group in Nebraska.Fuel economy calculations based on original manufacturer data for trim engine configuration. Please confirm the accuracy of the included equipment by calling us prior to purchase. Heated Leather Seats, Alloy Wheels, 4x4, Power Liftgate, Back-Up Camera, Turbo. SEL trim. EPA 28 MPG Hwy/22 MPG City! 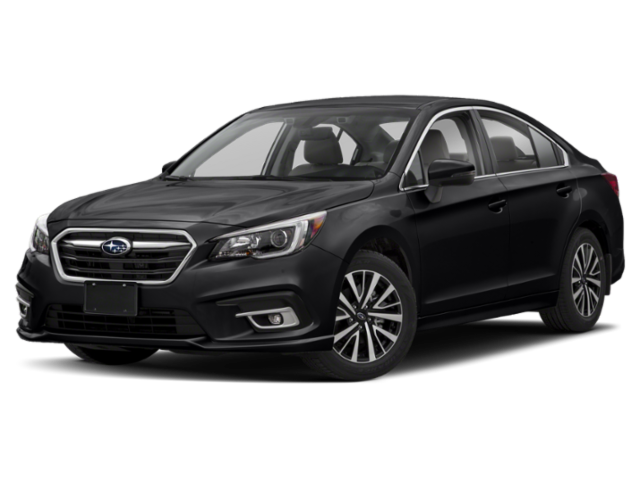 Warranty 5 yrs/60k Miles - Drivetrain Warranty; CLICK NOW!KEY FEATURES INCLUDELeather Seats, Power Liftgate, Heated Driver Seat, Back-Up Camera, Turbocharged. Rear Spoiler, MP3 Player, 4x4, Aluminum Wheels, Remote Trunk Release.VEHICLE REVIEWSEdmunds.com explains The 2019 Ford Escape is a rare breed of compact crossover that deftly blends performance and utility. Sporty handling and a powerful turbocharged engine make the Escape drive more like a sedan, without sacrificing SUV versatility, making it a best-of-both-worlds choice.. Great Gas Mileage: 28 MPG Hwy.VISIT US TODAYBaxter Ford West Dodge, a full-service Ford dealership in Omaha, is your source for new Ford cars, trucks, vans and SUVs both online and in our showroom. We also sell used vehicles and certified pre-owned Fords. At our 18505 California Street (185th & Dodge) location, we also provide parts and auto repair service. We're part of Baxter Auto, the largest dealer group in Nebraska.Fuel economy calculations based on original manufacturer data for trim engine configuration. Please confirm the accuracy of the included equipment by calling us prior to purchase. Heated Leather Seats, Power Liftgate, Alloy Wheels, Back-Up Camera, 4x4, Turbo Charged. FUEL EFFICIENT 28 MPG Hwy/22 MPG City! SEL trim. Warranty 5 yrs/60k Miles - Drivetrain Warranty; CLICK ME!KEY FEATURES INCLUDELeather Seats, Power Liftgate, Heated Driver Seat, Back-Up Camera, Turbocharged. Rear Spoiler, MP3 Player, 4x4, Aluminum Wheels, Remote Trunk Release.EXPERTS RAVEThe 2019 Ford Escape is a rare breed of compact crossover that deftly blends performance and utility. Sporty handling and a powerful turbocharged engine make the Escape drive more like a sedan, without sacrificing SUV versatility, making it a best-of-both-worlds choice. -Edmunds.com. Great Gas Mileage: 28 MPG Hwy.OUR OFFERINGSBaxter Ford West Dodge, a full-service Ford dealership in Omaha, is your source for new Ford cars, trucks, vans and SUVs both online and in our showroom. We also sell used vehicles and certified pre-owned Fords. At our 18505 California Street (185th & Dodge) location, we also provide parts and auto repair service. We're part of Baxter Auto, the largest dealer group in Nebraska.Fuel economy calculations based on original manufacturer data for trim engine configuration. Please confirm the accuracy of the included equipment by calling us prior to purchase. Heated Leather Seats, Aluminum Wheels, Turbo Charged, Power Liftgate, Back-Up Camera, 4x4. FUEL EFFICIENT 28 MPG Hwy/22 MPG City! SEL trim. 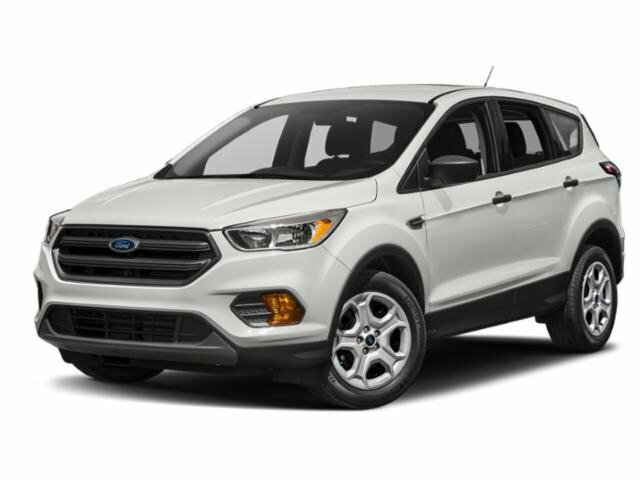 Warranty 5 yrs/60k Miles - Drivetrain Warranty; CLICK NOW!KEY FEATURES INCLUDELeather Seats, Power Liftgate, Heated Driver Seat, Back-Up Camera, Turbocharged Rear Spoiler, MP3 Player, 4x4, Aluminum Wheels, Remote Trunk Release.EXPERTS ARE SAYINGEdmunds.com explains The 2019 Ford Escape is a rare breed of compact crossover that deftly blends performance and utility. Sporty handling and a powerful turbocharged engine make the Escape drive more like a sedan, without sacrificing SUV versatility, making it a best-of-both-worlds choice.. Great Gas Mileage: 28 MPG Hwy.WHO WE AREBaxter Ford West Dodge, a full-service Ford dealership in Omaha, is your source for new Ford cars, trucks, vans and SUVs both online and in our showroom. We also sell used vehicles and certified pre-owned Fords. At our 18505 California Street (185th & Dodge) location, we also provide parts and auto repair service. We're part of Baxter Auto, the largest dealer group in Nebraska.Fuel economy calculations based on original manufacturer data for trim engine configuration. Please confirm the accuracy of the included equipment by calling us prior to purchase. Heated Leather Seats, Aluminum Wheels, Turbo Charged Engine, 4x4, Back-Up Camera, Power Liftgate. SEL trim. EPA 28 MPG Hwy/22 MPG City! Warranty 5 yrs/60k Miles - Drivetrain Warranty; CLICK NOW!KEY FEATURES INCLUDELeather Seats, Power Liftgate, Heated Driver Seat, Back-Up Camera, Turbocharged Rear Spoiler, MP3 Player, 4x4, Aluminum Wheels, Remote Trunk Release.EXPERTS CONCLUDEEdmunds.com explains The 2019 Ford Escape is a rare breed of compact crossover that deftly blends performance and utility. Sporty handling and a powerful turbocharged engine make the Escape drive more like a sedan, without sacrificing SUV versatility, making it a best-of-both-worlds choice.. Great Gas Mileage: 28 MPG Hwy.BUY FROM AN AWARD WINNING DEALERBaxter Ford West Dodge, a full-service Ford dealership in Omaha, is your source for new Ford cars, trucks, vans and SUVs both online and in our showroom. We also sell used vehicles and certified pre-owned Fords. At our 18505 California Street (185th & Dodge) location, we also provide parts and auto repair service. We're part of Baxter Auto, the largest dealer group in Nebraska.Fuel economy calculations based on original manufacturer data for trim engine configuration. Please confirm the accuracy of the included equipment by calling us prior to purchase. Heated Leather Seats, Turbo Charged, 4x4, Power Liftgate, Alloy Wheels, Back-Up Camera. SEL trim. FUEL EFFICIENT 28 MPG Hwy/22 MPG City! Warranty 5 yrs/60k Miles - Drivetrain Warranty; SEE MORE!KEY FEATURES INCLUDELeather Seats, Power Liftgate, Heated Driver Seat, Back-Up Camera, Turbocharged Rear Spoiler, MP3 Player, 4x4, Aluminum Wheels, Remote Trunk Release.EXPERTS RAVEEdmunds.com explains The 2019 Ford Escape is a rare breed of compact crossover that deftly blends performance and utility. Sporty handling and a powerful turbocharged engine make the Escape drive more like a sedan, without sacrificing SUV versatility, making it a best-of-both-worlds choice.. Great Gas Mileage: 28 MPG Hwy.MORE ABOUT USBaxter Ford West Dodge, a full-service Ford dealership in Omaha, is your source for new Ford cars, trucks, vans and SUVs both online and in our showroom. We also sell used vehicles and certified pre-owned Fords. At our 18505 California Street (185th & Dodge) location, we also provide parts and auto repair service. We're part of Baxter Auto, the largest dealer group in Nebraska.Fuel economy calculations based on original manufacturer data for trim engine configuration. Please confirm the accuracy of the included equipment by calling us prior to purchase. Heated Leather Seats, Turbo Charged Engine, Aluminum Wheels, Back-Up Camera, Power Liftgate, 4x4. SEL trim. EPA 28 MPG Hwy/22 MPG City! 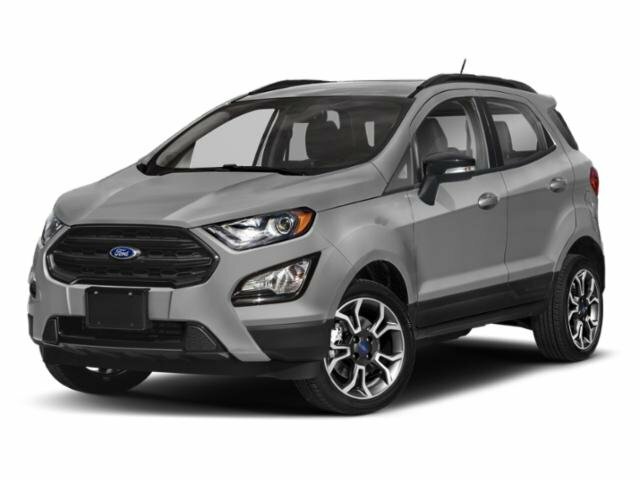 Warranty 5 yrs/60k Miles - Drivetrain Warranty; READ MORE!KEY FEATURES INCLUDELeather Seats, Power Liftgate, Heated Driver Seat, Back-Up Camera, Turbocharged Rear Spoiler, MP3 Player, 4x4, Aluminum Wheels, Remote Trunk Release.EXPERTS ARE SAYINGEdmunds.com explains The 2019 Ford Escape is a rare breed of compact crossover that deftly blends performance and utility. Sporty handling and a powerful turbocharged engine make the Escape drive more like a sedan, without sacrificing SUV versatility, making it a best-of-both-worlds choice.. Great Gas Mileage: 28 MPG Hwy.WHO WE AREBaxter Ford West Dodge, a full-service Ford dealership in Omaha, is your source for new Ford cars, trucks, vans and SUVs both online and in our showroom. We also sell used vehicles and certified pre-owned Fords. At our 18505 California Street (185th & Dodge) location, we also provide parts and auto repair service. We're part of Baxter Auto, the largest dealer group in Nebraska.Fuel economy calculations based on original manufacturer data for trim engine configuration. Please confirm the accuracy of the included equipment by calling us prior to purchase. Heated Leather Seats, Aluminum Wheels, Turbo Charged Engine, 4x4, Back-Up Camera, Power Liftgate. EPA 28 MPG Hwy/22 MPG City! SEL trim. Warranty 5 yrs/60k Miles - Drivetrain Warranty; SEE MORE!KEY FEATURES INCLUDELeather Seats, Power Liftgate, Heated Driver Seat, Back-Up Camera, Turbocharged. Rear Spoiler, MP3 Player, 4x4, Aluminum Wheels, Remote Trunk Release.EXPERTS REPORTThe 2019 Ford Escape is a rare breed of compact crossover that deftly blends performance and utility. Sporty handling and a powerful turbocharged engine make the Escape drive more like a sedan, without sacrificing SUV versatility, making it a best-of-both-worlds choice. -Edmunds.com. 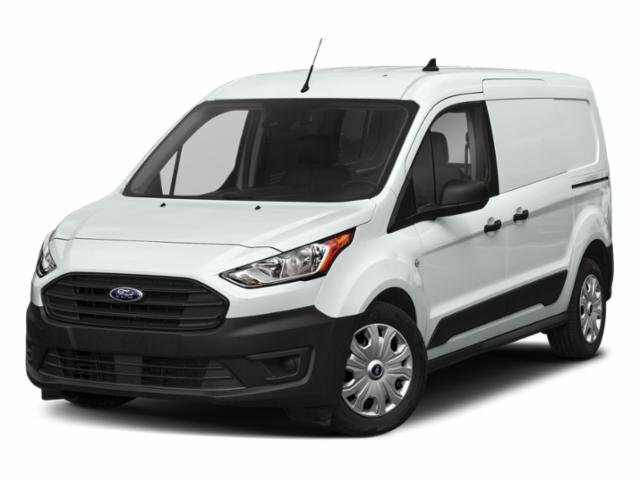 Great Gas Mileage: 28 MPG Hwy.WHY BUY FROM USBaxter Ford West Dodge, a full-service Ford dealership in Omaha, is your source for new Ford cars, trucks, vans and SUVs both online and in our showroom. We also sell used vehicles and certified pre-owned Fords. At our 18505 California Street (185th & Dodge) location, we also provide parts and auto repair service. We're part of Baxter Auto, the largest dealer group in Nebraska.Fuel economy calculations based on original manufacturer data for trim engine configuration. Please confirm the accuracy of the included equipment by calling us prior to purchase. Heated Seats, Smart Device Integration, Brake Actuated Limited Slip Differential, WiFi Hotspot, Four Wheel Drive, Back-Up Camera, Alloy Wheels, Turbo, Multi-Zone A/C. FUEL EFFICIENT 28 MPG Hwy/22 MPG City! SE trim. CLICK NOW!KEY FEATURES INCLUDEHeated Front Seat(s), Back-Up Camera, Turbocharged, Satellite Radio, Auxiliary Audio Input, Remote Engine Start, Multi-Zone A/C, Smart Device Integration, Brake Actuated Limited Slip Differential, WiFi Hotspot Rear Spoiler, MP3 Player, Four Wheel Drive, Telematics, Aluminum Wheels.EXPERTS REPORTEdmunds.com explains The 2019 Ford Escape is a rare breed of compact crossover that deftly blends performance and utility. Sporty handling and a powerful turbocharged engine make the Escape drive more like a sedan, without sacrificing SUV versatility, making it a best-of-both-worlds choice.. Great Gas Mileage: 28 MPG Hwy.WHY BUY FROM USBaxter Ford South, a full-service Ford dealership in Omaha, is your source for new Ford cars, trucks, vans and SUVs both online and in our showroom. We also sell used vehicles and certified pre-owned Fords. At our 9203 South 145th Street (near Sapp Bros.) location, we also provide parts and auto repair service. We're part of Baxter Auto, the largest dealer group in Nebraska.Fuel economy calculations based on original manufacturer data for trim engine configuration. Please confirm the accuracy of the included equipment by calling us prior to purchase. Heated Seats, Smart Device Integration, Brake Actuated Limited Slip Differential, WiFi Hotspot, 4x4, Back-Up Camera, Alloy Wheels, Turbo, Dual Zone A/C, Remote Engine Start, Satellite Radio. EPA 28 MPG Hwy/22 MPG City! SE trim READ MORE!KEY FEATURES INCLUDEHeated Driver Seat, Back-Up Camera, Turbocharged, Satellite Radio, iPod/MP3 Input, Remote Engine Start, Dual Zone A/C, Smart Device Integration, Brake Actuated Limited Slip Differential, WiFi Hotspot, Heated Seats Rear Spoiler, MP3 Player, 4x4, Onboard Communications System, Aluminum Wheels.VEHICLE REVIEWSEdmunds.com's review says The 2019 Ford Escape is a rare breed of compact crossover that deftly blends performance and utility. Sporty handling and a powerful turbocharged engine make the Escape drive more like a sedan, without sacrificing SUV versatility, making it a best-of-both-worlds choice.. Great Gas Mileage: 28 MPG Hwy.OUR OFFERINGSBaxter Ford South, a full-service Ford dealership in Omaha, is your source for new Ford cars, trucks, vans and SUVs both online and in our showroom. We also sell used vehicles and certified pre-owned Fords. At our 9203 South 145th Street (near Sapp Bros.) location, we also provide parts and auto repair service. We're part of Baxter Auto, the largest dealer group in Nebraska.Fuel economy calculations based on original manufacturer data for trim engine configuration. Please confirm the accuracy of the included equipment by calling us prior to purchase. Heated Seats, Smart Device Integration, Brake Actuated Limited Slip Differential, WiFi Hotspot, 4x4, Back-Up Camera, Aluminum Wheels, Turbo Charged Engine, Dual Zone A/C. FUEL EFFICIENT 28 MPG Hwy/22 MPG City! SE trim CLICK ME!KEY FEATURES INCLUDEHeated Driver Seat, Back-Up Camera, Turbocharged, Satellite Radio, iPod/MP3 Input, Remote Engine Start, Dual Zone A/C, Smart Device Integration, Brake Actuated Limited Slip Differential, WiFi Hotspot, Heated Seats Rear Spoiler, MP3 Player, 4x4, Onboard Communications System, Aluminum Wheels.EXPERTS REPORTEdmunds.com's review says The 2019 Ford Escape is a rare breed of compact crossover that deftly blends performance and utility. Sporty handling and a powerful turbocharged engine make the Escape drive more like a sedan, without sacrificing SUV versatility, making it a best-of-both-worlds choice.. Great Gas Mileage: 28 MPG Hwy.BUY FROM AN AWARD WINNING DEALERBaxter Ford South, a full-service Ford dealership in Omaha, is your source for new Ford cars, trucks, vans and SUVs both online and in our showroom. We also sell used vehicles and certified pre-owned Fords. At our 9203 South 145th Street (near Sapp Bros.) location, we also provide parts and auto repair service. We're part of Baxter Auto, the largest dealer group in Nebraska.Fuel economy calculations based on original manufacturer data for trim engine configuration. Please confirm the accuracy of the included equipment by calling us prior to purchase. Heated Seats, Smart Device Integration, Brake Actuated Limited Slip Differential, WiFi Hotspot, 4x4, Back-Up Camera, Alloy Wheels, Turbo Charged, Dual Zone A/C, Remote Engine Start. EPA 28 MPG Hwy/22 MPG City! SE trim CLICK ME!KEY FEATURES INCLUDEHeated Driver Seat, Back-Up Camera, Turbocharged, Satellite Radio, iPod/MP3 Input, Remote Engine Start, Dual Zone A/C, Smart Device Integration, Brake Actuated Limited Slip Differential, WiFi Hotspot, Heated Seats. Rear Spoiler, MP3 Player, 4x4, Onboard Communications System, Aluminum Wheels.EXPERTS REPORTEdmunds.com explains The 2019 Ford Escape is a rare breed of compact crossover that deftly blends performance and utility. Sporty handling and a powerful turbocharged engine make the Escape drive more like a sedan, without sacrificing SUV versatility, making it a best-of-both-worlds choice.. Great Gas Mileage: 28 MPG Hwy.MORE ABOUT USBaxter Ford South, a full-service Ford dealership in Omaha, is your source for new Ford cars, trucks, vans and SUVs both online and in our showroom. We also sell used vehicles and certified pre-owned Fords. At our 9203 South 145th Street (near Sapp Bros.) location, we also provide parts and auto repair service. We're part of Baxter Auto, the largest dealer group in Nebraska.Fuel economy calculations based on original manufacturer data for trim engine configuration. Please confirm the accuracy of the included equipment by calling us prior to purchase. This vehicle is located at Baxter Subaru 17130 Burt Street Omaha, NE 68118. Heated Seats, Lane Keeping Assist, Smart Device Integration, Multi-Zone A/C, Back-Up Camera, All Wheel Drive, Alloy Wheels, Satellite Radio, CD Player, Telematics, Auxiliary Audio Input. EPA 34 MPG Hwy/25 MPG City! Premium trim. CLICK NOW!KEY FEATURES INCLUDEHeated Front Seat(s), Auxiliary Audio Input, Aluminum Wheels MP3 Player, Remote Trunk Release, Keyless Entry, Steering Wheel Audio Controls, Child Safety Locks.OUR OFFERINGSBaxter Auto is a family-owned and locally-operated dealership group serving Omaha, Lincoln and Kansas City, supporting the vision of Talton (Tal) Anderson, founder of Baxter, created 60 years ago. Baxter provides superior customer service and quality new, used and pre-owned vehicles. Baxter became what it is today through the continued support of its loyal customers, employees, and the local community.Fuel economy calculations based on original manufacturer data for trim engine configuration. Please confirm the accuracy of the included equipment by calling us prior to purchase. XLT trim. WiFi Hotspot, Smart Device Integration, Back-Up Camera, Satellite Radio, iPod/MP3 Input, Fourth Passenger Door, Remote Engine Start. Warranty 5 yrs/60k Miles - Drivetrain Warranty; CLICK ME!KEY FEATURES INCLUDEBack-Up Camera, Satellite Radio, iPod/MP3 Input, Remote Engine Start, Fourth Passenger Door, Smart Device Integration, WiFi Hotspot MP3 Player, Onboard Communications System, Keyless Entry, Steering Wheel Controls.MORE ABOUT USBaxter Ford South, a full-service Ford dealership in Omaha, is your source for new Ford cars, trucks, vans and SUVs both online and in our showroom. We also sell used vehicles and certified pre-owned Fords. At our 9203 South 145th Street (near Sapp Bros.) location, we also provide parts and auto repair service. We're part of Baxter Auto, the largest dealer group in Nebraska.Please confirm the accuracy of the included equipment by calling us prior to purchase. FUEL EFFICIENT 39 MPG Hwy/28 MPG City! PREDAWN GRAY MICA exterior and ASH interior, LE trim. WiFi Hotspot, Aluminum Wheels, Back-Up Camera, iPod/MP3 Input, Smart Device Integration, Lane Keeping Assist. SEE MORE!KEY FEATURES INCLUDEBack-Up Camera, iPod/MP3 Input, Lane Keeping Assist, Smart Device Integration, WiFi Hotspot. MP3 Player, Onboard Communications System, Aluminum Wheels, Remote Trunk Release, Keyless Entry. Toyota LE with PREDAWN GRAY MICA exterior and ASH interior features a 4 Cylinder Engine with 203 HP at 6600 RPM*.EXPERTS REPORTGreat Gas Mileage: 39 MPG Hwy.MORE ABOUT USBaxter Toyota Lincoln, a full-service Toyota dealership, offers new, used and certified pre-owned cars. We're part of Baxter Auto, the largest dealer group in Nebraska. You can shop the complete lineup of new Toyota models in our showroom or walk our lot to browse our selection of used vehicles.Horsepower calculations based on trim engine configuration. Fuel economy calculations based on original manufacturer data for trim engine configuration. Please confirm the accuracy of the included equipment by calling us prior to purchase. PREDAWN GRAY MICA exterior and BLACK interior, LE trim. EPA 39 MPG Hwy/28 MPG City! WiFi Hotspot, Alloy Wheels, Back-Up Camera, iPod/MP3 Input, Smart Device Integration, Lane Keeping Assist. READ MORE!KEY FEATURES INCLUDEBack-Up Camera, iPod/MP3 Input, Lane Keeping Assist, Smart Device Integration, WiFi Hotspot. MP3 Player, Onboard Communications System, Aluminum Wheels, Remote Trunk Release, Keyless Entry. Toyota LE with PREDAWN GRAY MICA exterior and BLACK interior features a 4 Cylinder Engine with 203 HP at 6600 RPM*.EXPERTS RAVEGreat Gas Mileage: 39 MPG Hwy.WHO WE AREBaxter Toyota Lincoln, a full-service Toyota dealership, offers new, used and certified pre-owned cars. We're part of Baxter Auto, the largest dealer group in Nebraska. You can shop the complete lineup of new Toyota models in our showroom or walk our lot to browse our selection of used vehicles.Horsepower calculations based on trim engine configuration. Fuel economy calculations based on original manufacturer data for trim engine configuration. Please confirm the accuracy of the included equipment by calling us prior to purchase.